We will start with the disappointing news. On Monday, HB275/SB270 to ban chlorpyrifos failed to move forward in the Senate. The House of Delegates passed the bill, but the Senate would not move it out of committee. Read the coalition's statement here. Clean Water and the coalition will be back next year to ban this powerful and dangerous pesticide. Listen to The Environment in Focus by Tom Pelton for a good synopsis of the bill and the dynamics at play. But many good things happened this week! The Keep Antibiotics Effective Act has been sent to the governor's desk! This bill was an update to the law that passed in 2017, banning the practice of giving healthy farm animals unnecessary antibiotics. In 2018, the Maryland Department of Agriculture released implementation regulations that completely missed the mark - they were written to allow business as usual and the continued regular use of antibiotics when they are not needed. The 2019 legislation tightens definitions, includes a reporting piece so data is collected on antibiotic usage and trends, and includes an exemption for small dairies. 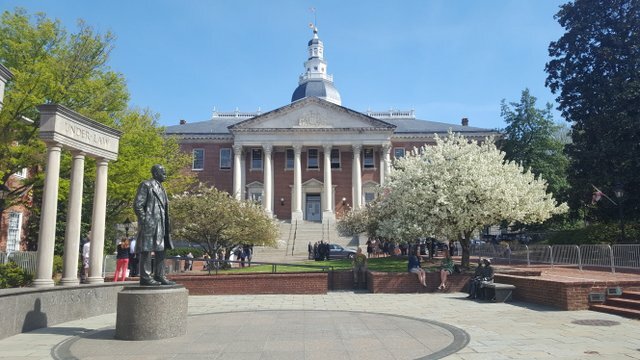 As the bill moved through Annapolis, the MD Department of Agriculture submitted revised regulations in line with the definitions in the 2019 bill. Thank you to all of our coalition partners, the General Assembly, the Department of Agriculture, and all of the Clean Water members who sent emails and wrote letters over these last three years! There will soon be improved notification for wastewater overflows and bypasses! While not a bill we anticipated before legislative session, Delegate Hill of Baltimore and Howard counties alerted us to HB417, her bill to improve public notification when a wastewater overflow happens. We quickly alerted our network of local watershed and other environmental groups and worked out some amendments to make that notification more accessible to people who recreate in Maryland waterways. There is now a definition for what is a failing septic system. We worked with the state, counties, local watershed groups, and the onsite (septic) industry to work out a functional definition of what is considered a failing septic system. The word failing is used frequently, but without an agreed upon definition there is uncertainty that can cause delays in addressing the problem. Creating a common, minimum definition is an important step in creating predictability around septic systems. We are still waiting for a HB539 to enable reuse of clean, potable wastewater (e.g, water softener backwash, overflow from ice makers) on residential properties with septic systems. Right now, Maryland's wastewater definition includes these sources of water that have had no opportunity for biologic contact and are either as clean, or cleaner, than what was pulled out of a well. Unfortunately, septic systems are designed for smaller volumes of water. When a water softener goes through its backwash process, huge volumes of water are dumped all at once, agitating the solids in the tank and forcing a huge amount of wastewater out of the system into the drainfield. This leads to hydraulic overload, which is a common cause of septic system failure. Preventing hydraulic overload is a good way of prolonging the life of a septic system and helping it better treat the wastewater leaving a house. Better treatment means better water quality! We expect that the Senate Education, Health, and Environmental Affairs Committee will vote this bill on Friday, April 5th.